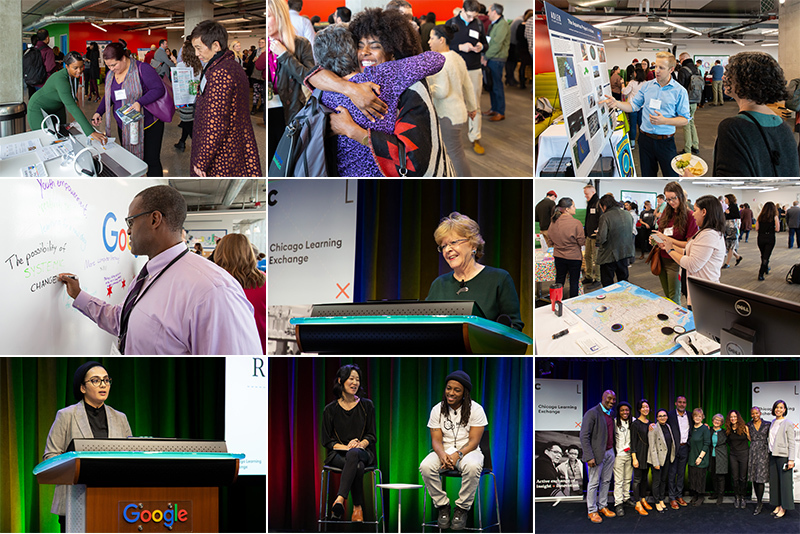 On Monday, October 29, 2018, more than 250 of our friends and supporters gathered at Google to celebrate the launch of our new non-profit, the Chicago Learning Exchange (CLX), an educational start-up with a 9-year track record of advancing equity in digital learning. CLX serves as a hub for digital learning by cultivating a community for professional learning, supporting the adoption of digital badges, and investing in expanding in youth development programs that utilize technology. We were inspired by the enthusiasm of partners new and old. Photography by Vashon Jordan, Jr. Please visit the CLX Flickr page to view more photos from the CLX Debut Celebration. The release of a ground-breaking study, Engaging Youth in a Connected World, a survey of digital media tools and technologies in Chicago’s out-of-school time programs. If you missed the event or are trying to remember something you read, check out the presentation slides. What inspires you about our shared work? What guidance do you have for CLX? In a word, what will you contribute? We were energized by what we heard. Thank you to Google for hosting this launch event, and to CLX’s major supporters, the John D. and Catherine T. MacArthur Foundation, The Chicago Community Trust, and the Mozilla Foundation. Stay connected by subscribing to our newsletter at chicagolx.org and engage on Twitter at @CLXchange, hashtag #CLXchange.